Did you ever imagine to have iPhone 4 64GB ? Apparently this phone is there. This is according to the report the virtual world, the market has found iPhone 4 64GB being sold, but there is little it is difficult to find. Rumors iPhone 4 64GB with numbers such as XXXXX and FCC ID such as BCG-XXXXXX. iPhone 4 64GB mark XXGB on the back, like prototypes leaked iPhone 4 which have been found in the bar and bought by Gizmodo. 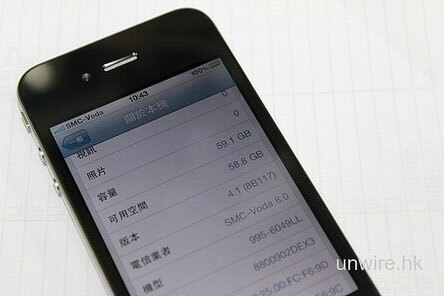 Reportedly, iPhone 4 64GB unlocked position can still be used, but it is not clear how much the price to be able to have such a large-capacity iPhone 4. What is the reason Apple does not release a iPhone 4 64GB in his official iPhone product, perhaps also because the price of an expensive production, the fear will lose interest in and will make a stock pile? Or Apple wants to keep it look more simple and there is not much choice?